The 2019 poster was revealed during the local partners meeting in the presence of local officials, tourism professionals and hut owners who gathered together to prepare the event. 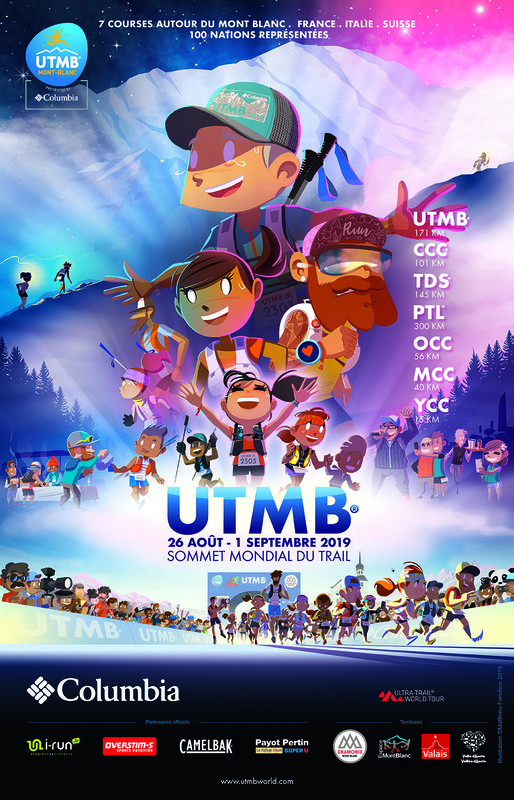 For the 2019 edition poster, the UTMB® organization chose to work with the French illustrator Matthieu Forichon, also known for Des Bosses et Des Bulles®, which are humorous comics about the trail-running universe. The result is a strong and original poster that honors all those who take part in the UTMB® event. An original creation, filled with subtle and hidden meanings, that will be presented throughout the year on the event's many communication media. Former engineer, self-taught illustrator, Matthieu Forichon is also an experienced runner who has already put himself to the test with the most technical race of the Sommet Mondial du Trail, the beautiful and wild TDS®. Following this experience as a runner, Matthieu Forichon worked on several scenes in which each participant in the event will be able to recognize him/herself: the energy of the starting line, the friendliness of an aid station, the beauty of running at night, the adventures of the after race... So many simple and friendly moments shared by all those who are involved in the event and that the organizing team calls friends of the UTMB®. The result is a rich creation, filled with details and hints, that invites the viewer to look at it more closely in order to grasp the whole picture. "There are so many people drawn in this poster. We wanted to pay tribute to all those involved in the UTMB®: runners but also all those who build the race, volunteers, rescue services, people who live in the Valley, officials, mountain guides..." Like famous blockbuster posters, this visual allows several degrees of reading, offering both a global overview and a subtler reading, which allows the audience to look for hidden references. Besides being an international event, the UTMB® is also an inner adventure, a journey rich in emotions that Matthieu Forichon tried to transfer into the poster, taking into account his own experience as a TDS® runner in 2017. These feelings are "resignation sometimes, the boost you feel when you leave an aid station, the tears when you are 10km from the finishing line, the sharing with other runners". 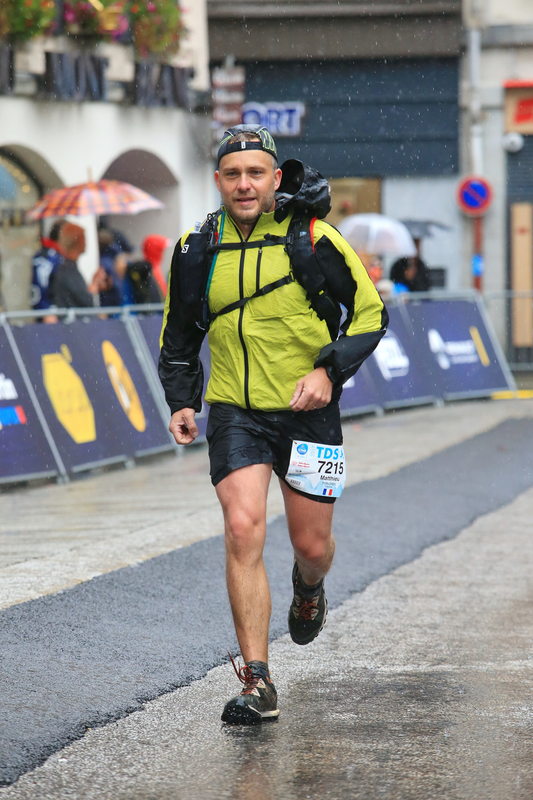 The UTMB® is a sporting event but also a connection with one’s inner self: "We all have the same objective, that of reaching the end of the race, and for that we must accept to go through all these emotions". These emotions are colors, an element that holds an important place in the poster. "I have a rather precise memory of certain colors and atmospheres perceived during the race, I tried to transcribe some of them. For example, that privileged moment when you run at night with your headlamp on a ridge, when it's only you and a few other runners. This spring, the UTMB® team will launch a contest for the 2020 poster thus allowing another artist to express him/herself. Born in Lyon, France, in 1976, Matthieu Forichon left his job as computer engineer in 2001 to pursue a career as a professional illustrator. Self-taught and passionate, Matthieu Forichon discovered running, first as a complement to his combat sports training and then as a discipline. After running few of the most famous races, he created Des Bosses et Des Bulles® in 2012 to talk about this sport through comics. The site is a great success and was named Best Trail Blog in 2012 at the Endurance Trail Festival. Two collections of illustrations published since 2012 have been published by René Charles Publishing. Since then, Matthieu dedicated himself to working for his agency as a publicist illustrator, the development of the Des Bosses et Des Bulles brand and trail running.